Post-Industrial Socialism provides critical analysis of recent developments in leftist political thought. Adrian Little charts new directions in the economy and the effects they have had on traditional models of social welfare and orthodox approaches to social policy. 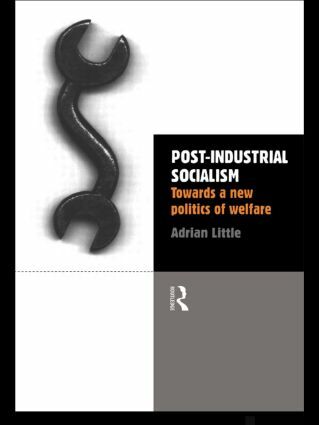 In demonstrating the limitations of the welfare state and the associated concept of citizenship, this book suggests that we need to renew socialist welfare theory through the evaluation of universal welfare provision and a policy of breaking the link between work and income.